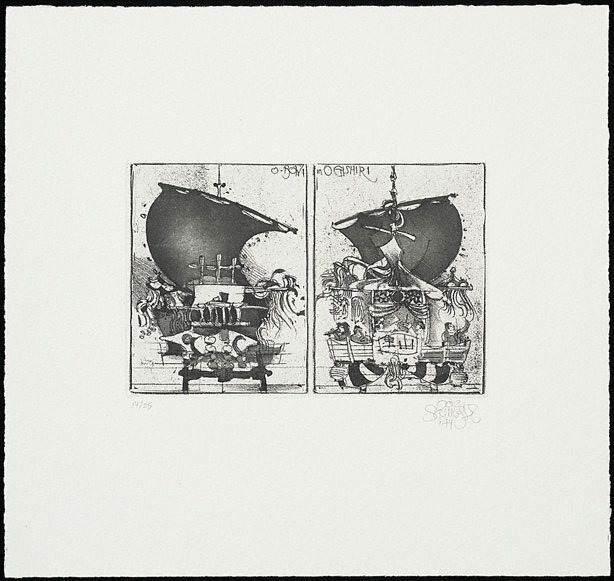 These twelve etchings are after drawings the artist made on a trip through northern Japan in 1974. Signed and dated l.r. beneath platemark, pencil "Jörg/ Schmeisser/ '74".